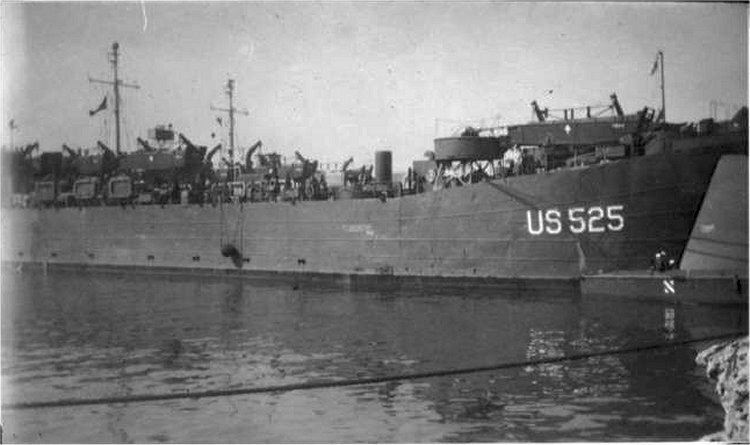 Laid down, 18 October 1943, at Jeffersonville, IN. by the Jeffersonville Boat & Machine Co.
Decommissioned early 1970 at Orange, TX. 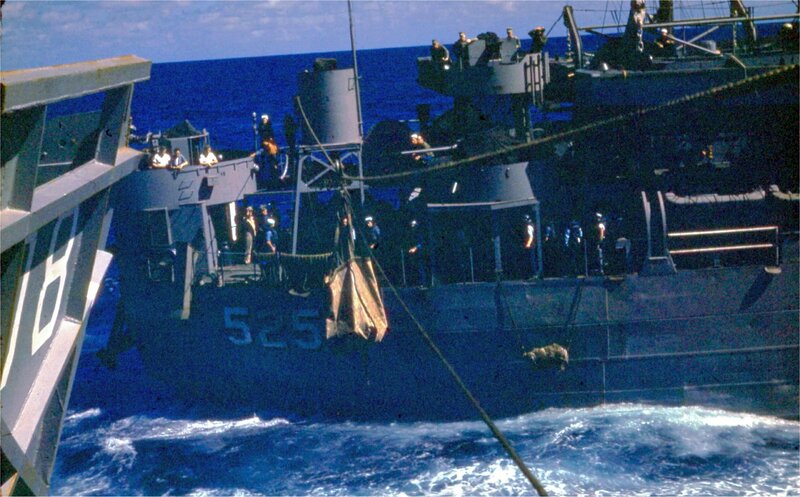 58k USS LST-525 underway, date and location unknown. 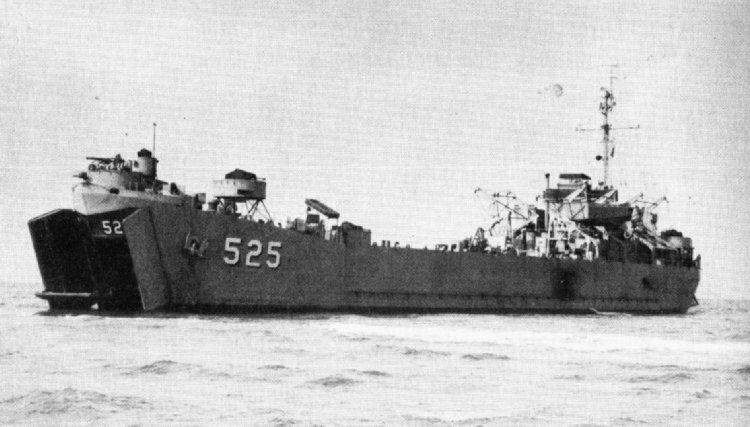 79k USS LST-525 off an unknown beachhead with bow doors open and ramp down. 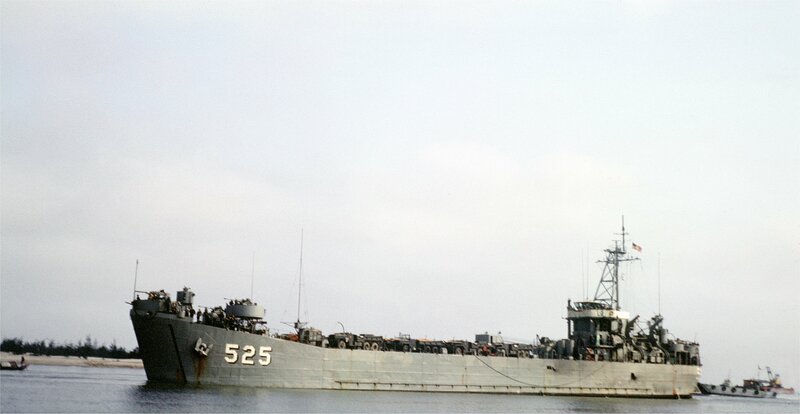 728k USS Caroline County (LST-525) underway on the Cua Viet River, South Vietnam, 15 March 1967. The ship is loaded with cargo trucks. 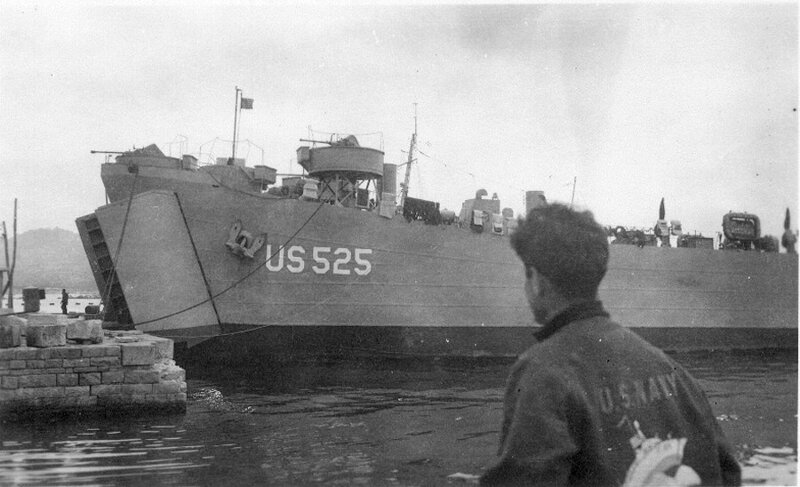 Caroline County was the first LST to dock at Cua Viet. 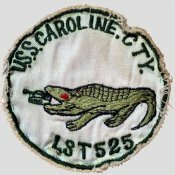 The Cua Viet River Base was a center of American and ARVN defense of Northern I Corps, near the DMZ. 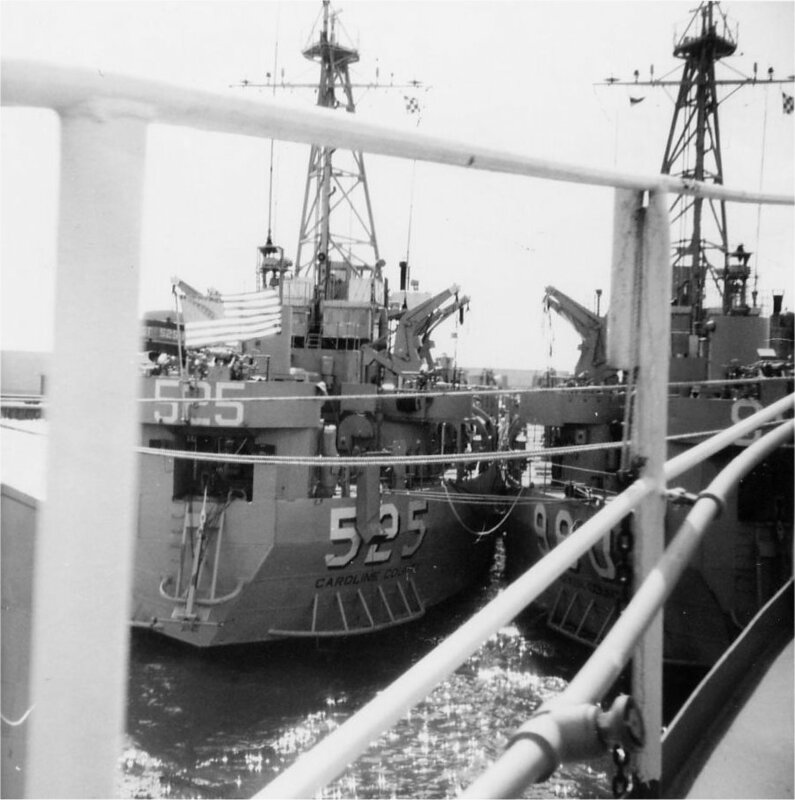 705k USS Caroline County (LST-525) landing at Cua Viet with a load of cargo trucks, 15 March 1967. 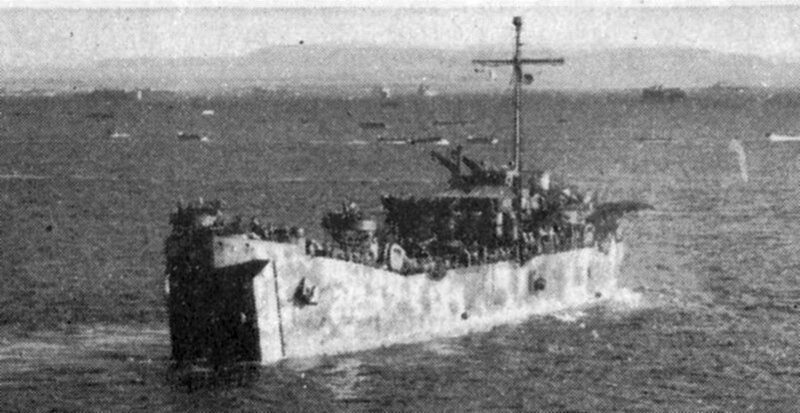 Carolina County was the first LST to dock at Cua Viet. 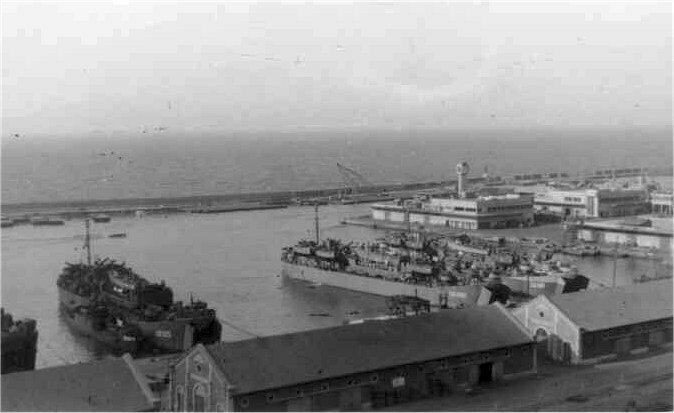 LCU 1498 is visible in the background. 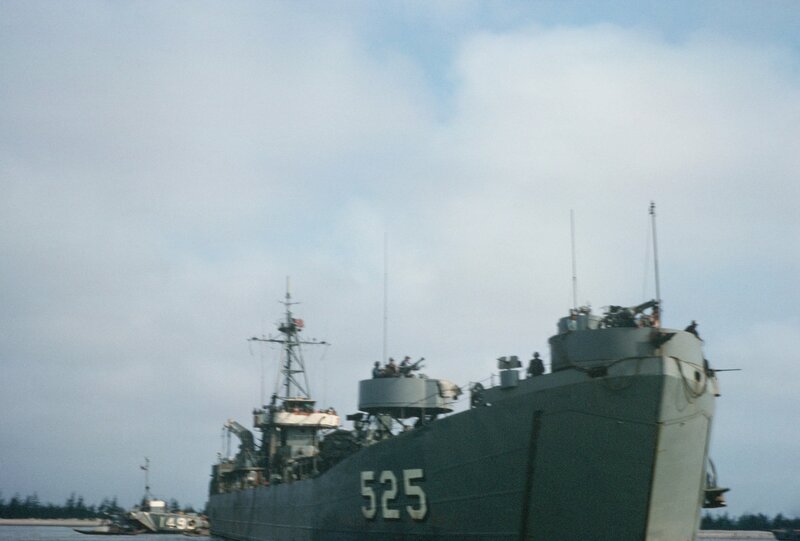 870k USS Caroline County (LST-525) with her bow doors open while docked at Cua Viet, 15 March 1967. 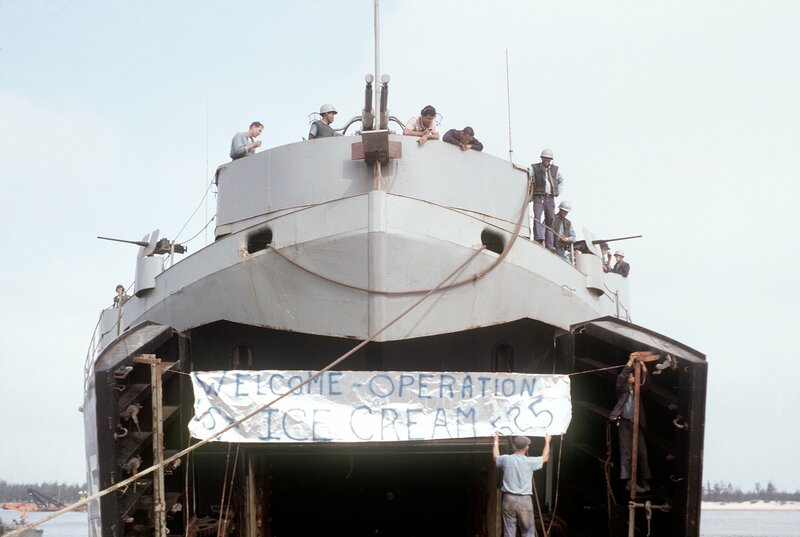 The ship brought ice cream to the Marines at Cua Viet to commemorate her visit.